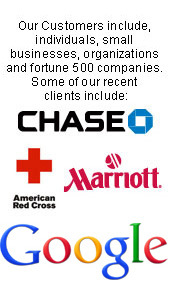 Promotional Coffee Cups are a great way to advertise a business. Most Americans drink coffee and now every morning cup of coffee can be customized with a company logo or event. 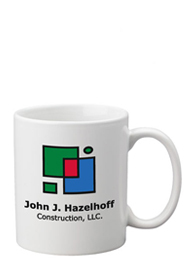 Our white stoneware mugs are a great way to show off a logo. This ever popular C-handle 11 oz mug has a generous imprint area to help promote any message. Stoneware mugs are the standard for personalized coffee mugs. These cheap mugs make great corporate giveaways. Use them as a party favor and each day your customers, friends or relatives will see your artwork, logo or message while sipping their morning java. The 11 oz. customized stoneware coffee mugs are available in a wide variety of colors for you to choose from. This line of customized drinkware is great for hot chocolate, tea and coffee.